Many of us, when we think of addressing equitable student outcomes in mathematics education, think of advocating for each and every student to have access to a rigorous and coherent curriculum. And this does remain a significant concern in the U.S.
Research indicates that students from marginalized groups continue to have less access to college preparatory pathways in math than non-marginalized students. Our work to ensure that all students have access to a meaningful math curriculum that supports both their professional and personal aspirations remains a critical component of our equity work. But, if we are truly committed to equitable learning outcomes in mathematics education, we must do more than just provide access. Below are three other important aspects we must keep in mind in our efforts to better math education. It is not enough to simply get students into the mathematics “pipeline.” We must also attend to how students experience math once they are in the “pipeline” because it is their dissatisfying experiences in the classroom that cause some students to shy away from math as a subject. Simply put, equitable math instruction must provide access and empower students to see themselves as capable learners, users, and doers of mathematics. How students see themselves and how they believe others see them as learners of mathematics greatly impacts their success. By implementing research-informed and equitable instructional practices, teachers can significantly enhance the experiences and learning outcomes of students in the math classroom. Are all student ideas heard, valued, and pursued? Who does the teacher call on to answer questions? Whose ideas are selected for further inquiry? Whose thinking is disregarded in the classroom? Asking ourselves these questions reminds us that the implementation of our strategies shapes how students see themselves and their competence. As math teachers, we are all identity builders, and we have to take that role seriously as we design instructional experiences and interact with students. We are also engaged in something much bigger than the daily tasks related to curriculum, instruction, and assessment. 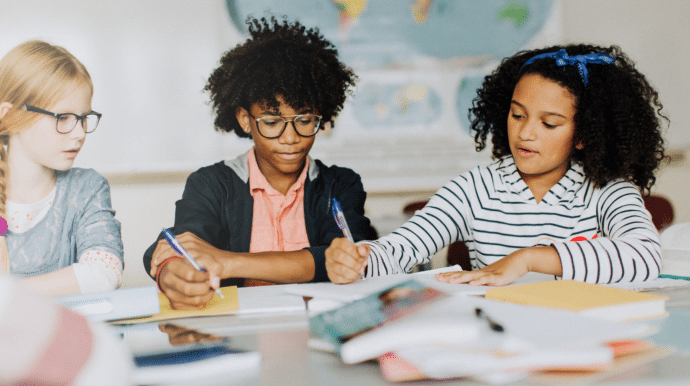 Mathematics is an essential analytical tool that students can use to help them better understand their context, experiences, and the world—and, potentially, to make the world a better place. Never has this been more important. Mathematics is deeply embedded in many aspects of society today— social media advertising, medicine, finance, security, technology, and the increasing use of “big data” across many disciplines. As a result of this math ubiquity, societal challenges are increasingly formulated in mathematical terms, and the proposed solutions frequently depend on mathematical understanding. In other words, math is essential—not just to college and career readiness but also to informed, active engagement in all aspects of life. The future of our democratic society depends on every student having both access to a rich math curriculum and positive classroom experiences that ensure each student is truly empowered by the opportunities that mathematics affords. Learn more and book a keynote with Senior Fellow Dr. Matt Larson, past-president of NCTM, as you aim to bring equity into the equation in your classroom.